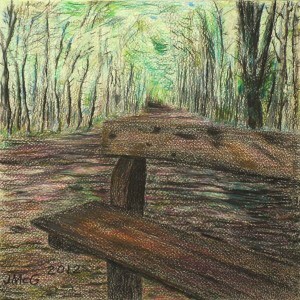 In 2011 Stephanie and I went for a walk in the forest at Monasterevin, Co. Kildare, near Moore Abbey. The bluebells were out. This seat invited us to sit down. 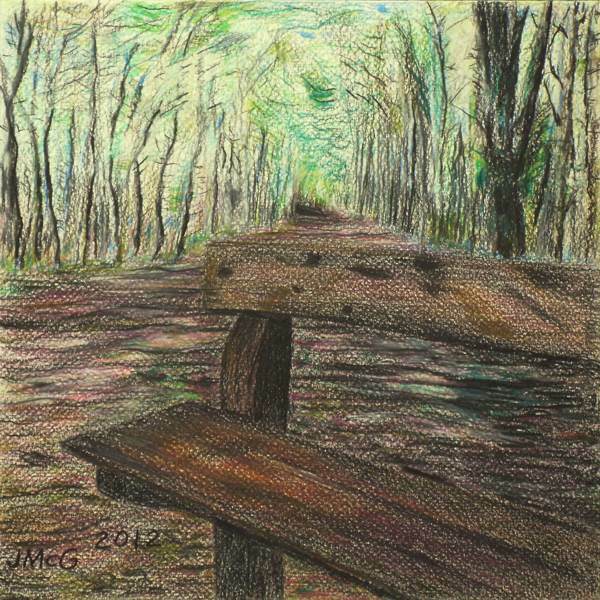 This entry was posted in Paintings and Drawings and tagged colour pencil, drawing, forest seat, Monasterevin on May 7, 2012 by admin.